our lack of busyness. Rather, it is has been a very hectic and sad start to the new year for us. We will be adding some new blog posts soon to tell you what we have been up to and what has been happening in the last month. Californian winters afternoon and drove down to Hollywood. 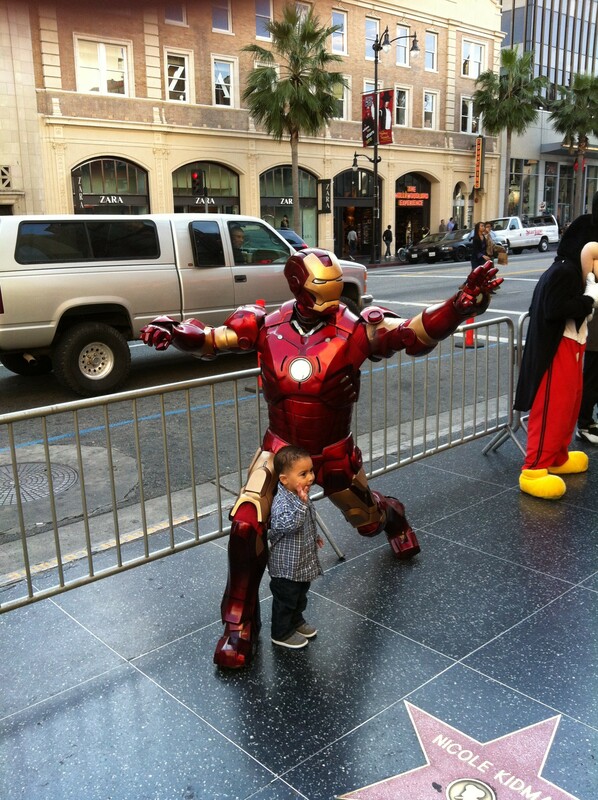 popular and recognized landmarks in Southern California. It is well elevated so you can get excellent views of the famous Hollywood sign and the city. 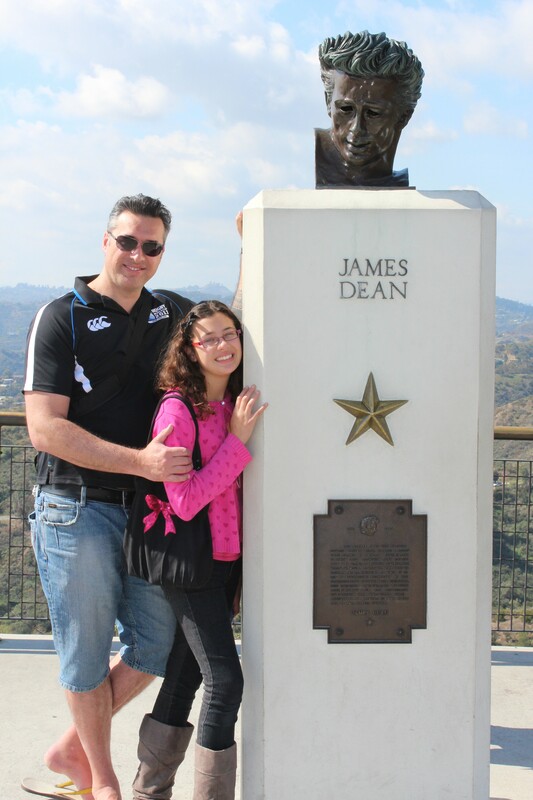 Movie buffs will know that the observatory was famously featured in the James Dean movie ‘Rebel Without a Cause’ (among others) and as a memorial, a bronze bust of James Dean has been erected on the front lawn. We didn’t get a chance to take a look inside the observatory or visit the planetarium, but we will save that for another day. 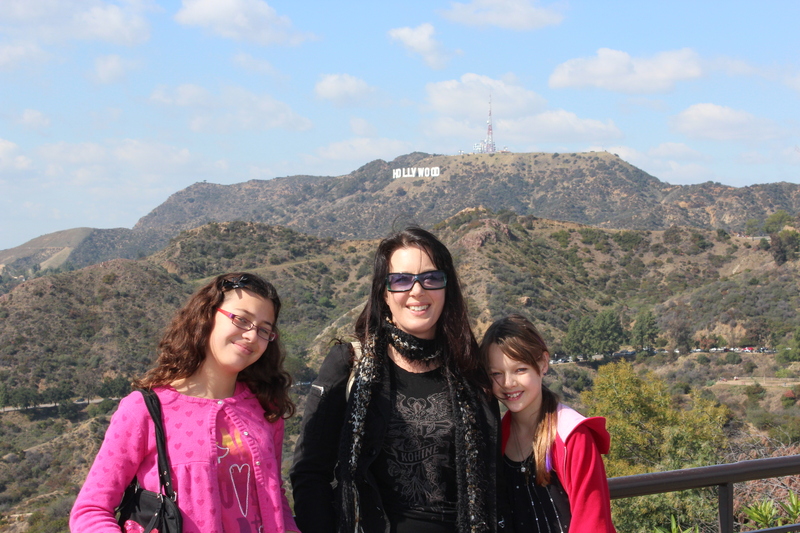 We spent the time there walking around the observatory and taking in the wonderful views of the city of Los Angeles. some lunch at the Hard Rock Cafe. The prices were quite reasonable and highly recommend the burgers. All around the walls hung the most amazing rock memorabilia from some of the greatest musicians, such Eddie Van Halen, Jimi Hendrix, Bo Diddley, Carl Wilson (The Beach Boys) and Jim Morrison. 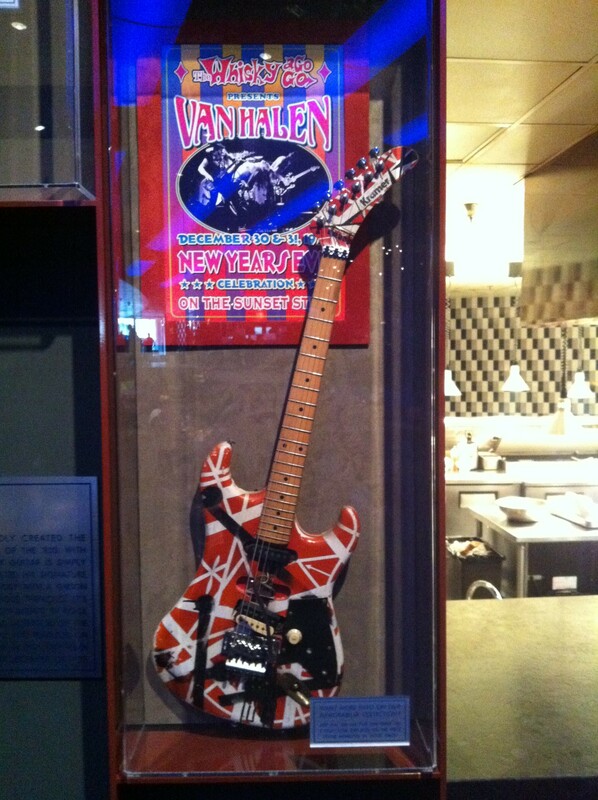 Being at the Hard Rock Cafe was like eating lunch in a cool museum (not that normal museums are not cool). currently some restoration work underway, so I’m sure it will be amazing once the work is done. 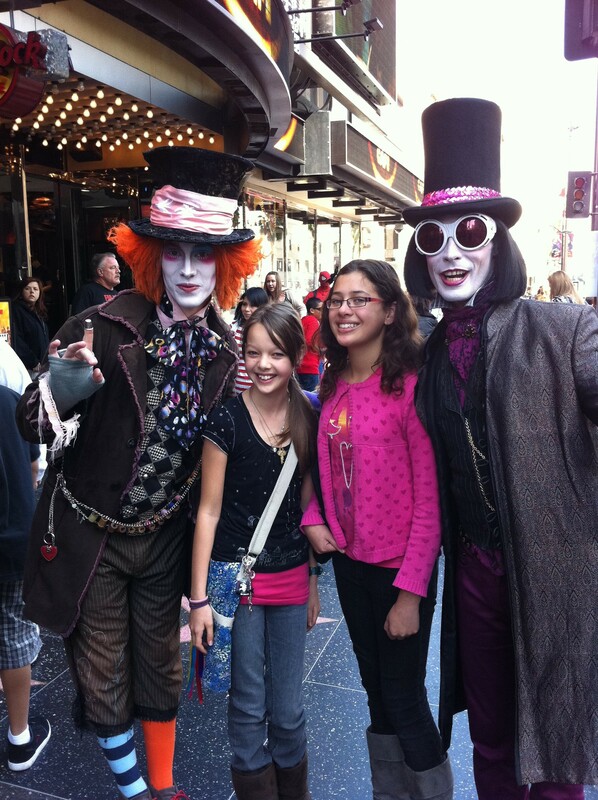 It was amazing to wander down the street as there is so much to take in all at once. Back home via the Number Five freeway ended another family day out with some of the local landmarks ticked off our list.